Blinds, Shades, Shutters, Drapes, Soft Fashion - Just Blinds Inc.
Plantation Shutters have long been prized for their warmth, beauty, and the value they add to your home. These interior plantation shutters are available in a variety of styles that will suit your taste. Interior Plantation Shutters are custom designed and custom built for each individual window. Contact us to take advantage of our free onsite consultation, expert measuring and professional installation of your new custom plantation shutters. Find rich, natural wood blinds suited to match any décor, our wood blinds provide exciting design solutions for any decorating scheme or budget and brings the luxurious beauty of wood to your home. Ready to select your style, browse colors and start customizing? Enjoy the luxurious look of real wood in an easy-to-clean, durable vinyl blind. Not quite sure if faux wood is the right choice for you? Learn about faux wood here. Ready to select your style, browse colors and start customizing? Creating an atmosphere from rustic to intense, and everything in between, woven woods can make decorating fun to sophisticated. Ready to select your style, browse materials and start customizing? Making any room more distinctive, roman shades combine the charm and elegance of soft drapery fabric with the convenience and functionality of a shade at an affordable price. Ready to select your style, browse fabrics and start customizing? Roller Shades offer a wide choice of high quality fabrics in both solids and textures with opacities ranging from transparent to room darkening. Perfectly suited for home or office applications, our selection promises to be a stunning combination of simplicity, sophistication, versatility and value. Cellular shades offer distinctive smooth and textured fabrics from sheer to opaque, in double cell construction. They provide multiple levels of privacy, light control, sound absorption, and energy efficiency. The cellular fabric construction traps air for maximum energy efficiency and sound absorption and conceals cords and cord holes to provide maximum privacy. Practical and fashionable, our collection of custom vertical blinds are the most versatile of all window treatments. Pair them with valance options for added flexibility to match your style. Vertical Blinds are perfect for large or small windows, French doors, and patio doors. Ready to select your style, browse colors and start customizing? Fabric Shades are custom tailored for your window to the finest quality standards. To enhance the body of your shade, and for a neutral look to the street side, we can add a light filtering or room darkening liner for optimum light and privacy control. Ready to select your style, browse fabrics and start customizing? Window dressings are central to the character of a room, and draperies add to its charm. Custom draperies can be made to be pleated, puddled, tied, or even all three! The design options are endless. Ready to select your style, browse colors and start customizing? Valances come in all shapes and styles. Valances using decorative rods can be pleated, shirred, smocked, tabbed, tapered and cross the spectrum from casual to formal. Top Treatments, mounted on a board, provide an infinite variety of choices to top off the beauty of your windows. Cornices can be contoured and shaped for elegant styling or simply straight for modern clean lines. Give us a call to see all of your design options. Dress up your home with stylish and new window treatments. Window Treatments are an easy and classy way to give your decor a make over. Ready to choose from countless products, fabrics, accessories to make your home decor your personal style? Motorization of your shutters, shades and blinds provides the ultimate convenience. Most products can be operated with either the battery power or hard wire powered hand held remote and utilize either infrared, radio frequency, or Z-Wave receiver options. Interested in learning more about motorization or utilizing this feature in your home? Aluminum Blinds bring you the very best in function, finishes, style and durability. Carefree maintenance and our spring-tempered aluminum slats bounce right back to even the toughest treatment making them perfect for any room of the house and any budget. Ready to select your style, browse colors and start customizing? 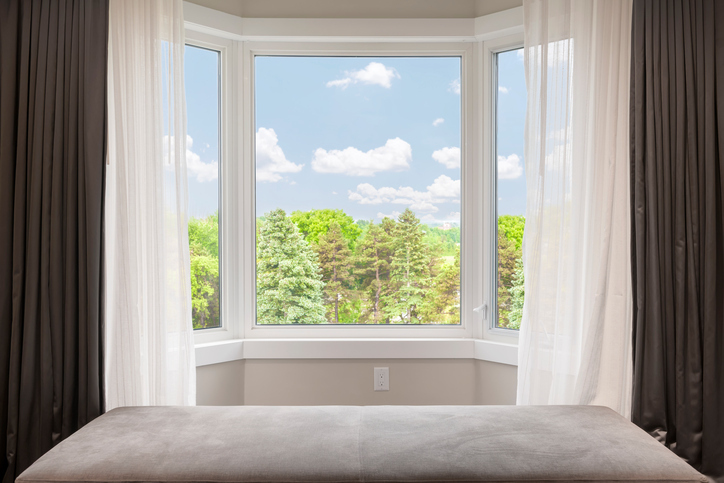 Window films help protect the beauty of your home by offering sun control. In addition, window films offer additional safety and security. Ready to browse options and start protecting the interior of your home? 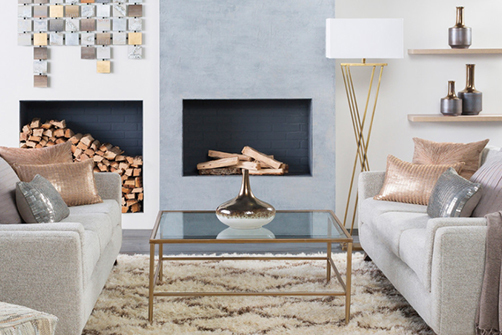 Complete your home’s look with our line of decorative home accessories including rugs, lighting, mirrors and more. Ready to browse our catalog and start decorating the interior of your home?